It’s more than just an act of goodwill. Saia’s effort to hire veterans is as much about making the company better as it is extending a hand to those that put defending their country and communities above all else. While many veterans are looking to reestablish their career after leaving the military, Saia is actively pursuing this group of workforce entrants based on what they can bring to the table. As a veteran herself, LeBlanc not only sees the connection between the two fields, but understands it on a personal level, too. And, there’s not one particular role that the military prepares these new applicants for. LeBlanc has seen successful careers built in everything from mechanic and dock positions to roles in freight driving and management programs. 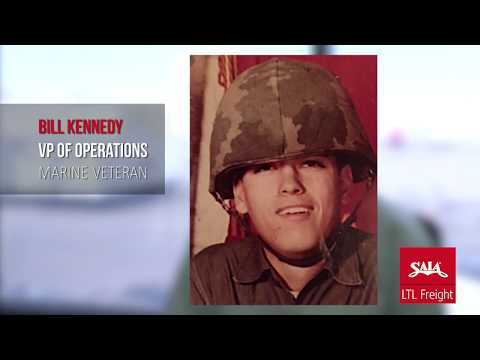 Many of those who have found such success can be seen in this video celebrating Saia’s military veterans. In addition to a steadily increasing effort to recruit those coming out of military careers, Saia also supports veteran organizations. For example, Saia has partnered with Wreaths Across America and will be participating in our inaugural National Wreaths Across America Day on December 16. Saia has selected employees to participate in the day who will have the opportunity to load and/or transport wreaths to the Calverton National Cemetery in Calverton, NY, and the Long Island National Cemetery in Farmingdale, NY. The event is an effort to help remember, honor and teach about those who have made the ultimate sacrifice. This Veterans Day, Saia would like to take this opportunity to say Thank You for your service and remind everyone to remember all of our military veterans and the sacrifices they have made to defend this country. For more information on Wreaths Across America Day and how you can become a part of it, visit www.wreathsacrossmaerica.org.